All integrations with the apps stated above can be set up via the Import/Export page. You will find that after hitting the "Show more" link in the left hand side menu inside the Toggl web application. Once there, you will find a link called "Integrations" at the top of the screen just to the right of "CSV Import". In order to enable any integration, hit on the green "Enable" button next to the app. You will then be directed to the app page asking you to grant Toggl permission to interact with the app on your behalf. 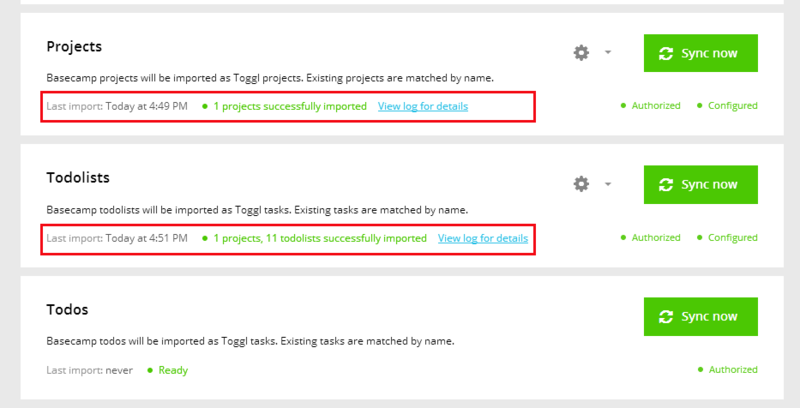 After you have enabled the integration and granted Toggl permission to communicate with the app, the green "Enable" button is replaced with a green "Sync now" button. Do I need to wait until the sync has completed? You can go off and do other things in Toggl while the sync is in progress, it will continue even when you’re not viewing the page. What if anything goes wrong with the sync? 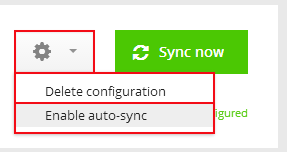 Clicking the small cogwheel icon next to the "Sync now" button allows you to delete the integration configuration. From here, you can also enable automatic synchronization, which will make Toggl check for new data from the app every 10 minutes. While the Toggl Pipes integration is available for a few select applications only, using many other applications with Toggl can be simplified with the help of the Toggl Button browser extension for Chrome or Firefox.